Der bekannte Präsentationsdesigner und weltweit geachtete Kommunikationsprofi Garr Reynolds, Betreiber der wichtigsten Webseite zum Thema - presentationzen.com - zeigt, worauf es heute bei Vorbereitung, Gestaltung und Durchführung von Präsentationen wirklich ankommt. 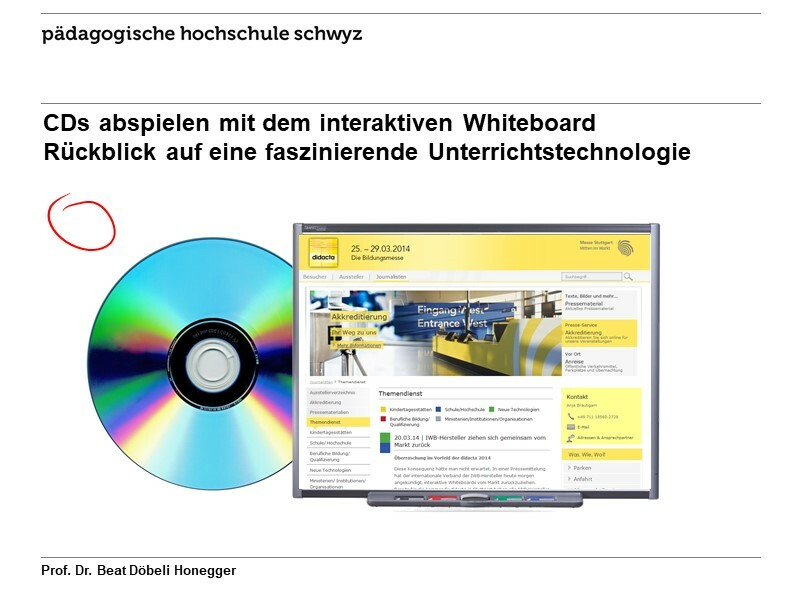 Seine interessanten, überraschenden und teils revolutionären Ansichten sorgen dafür, dass Sie mit PowerPoint oder Keynote gestaltete Präsentationen mit anderen Augen sehen. Presentation Zen steht in starkem Kontrast zu dem, was heutzutage gängige Präsentations-Praxis ist, und zeigt anhand zahlreicher Beispiele, wie Sie Präsentationen gestalten, die sich sowohl in Sachen Design als auch in puncto Kommunikation wohltuend von der Masse abheben. Dank der gelungenen Kombination aus bewährten Designprinzipien und den Regeln der Zen-Philosophie ist das Buch eine große Hilfe für alle, die einfachere, knackigere und effektivere Präsentationen gestalen wollen. 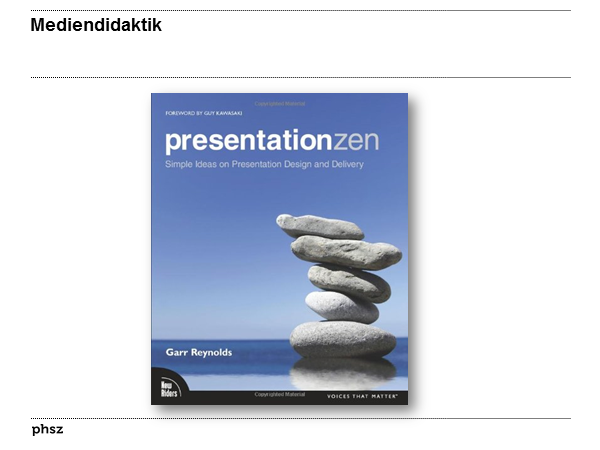 Featuring a foreword by Guy Kawasaki, Presentation Zen will help presenters see the process in a way that is different, simpler, more visual, more natural, more effective, and ultimately far more meaningful. Presentations are generally poor because their creators have learned bad habits and lack awareness and knowledge about what makes for a great presentation (and what does not). This book aims to help people break out of the rut of making typical PowerPoint presentations. This book provides an equal dose of inspiration and education. The content focuses on helping readers become (1) more aware, (2) more knowledgeable, and (3) more inspired. 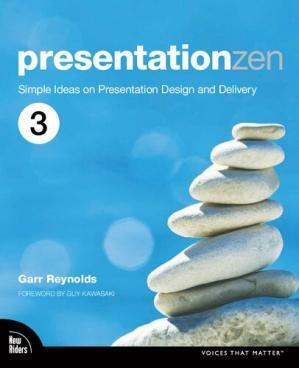 Presentation Zen is a provocative mix of illumination, education, and guidance. What may seem like common sense regarding presentations is not common practice. 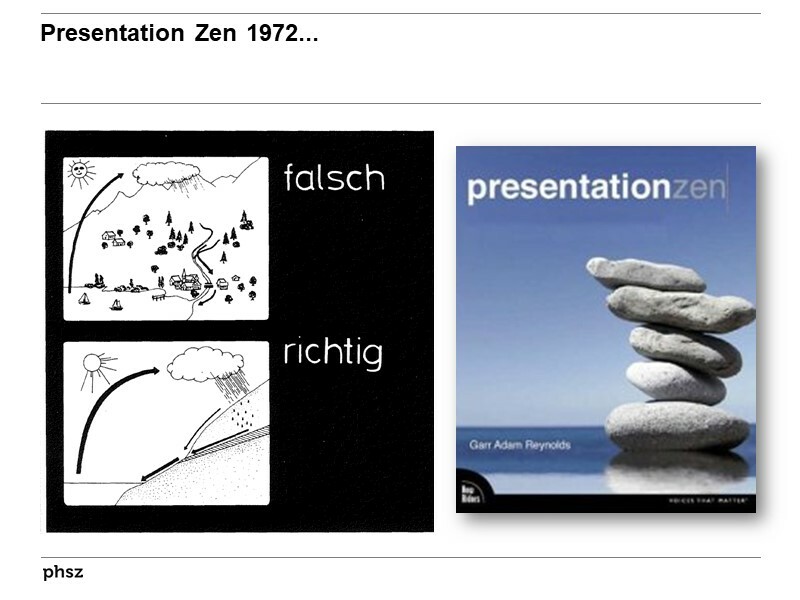 Presentation Zen is an approach to presentations that is appropriate for our age, an age in which design thinking, storytelling and so-called right-brain thinking are crucial. Those who are talented communicators and skilled in design and storytelling are increasingly in demand. Balancing the principles of design, the tenets of Zen simplicity, multimedia and cognitive learning theory, along with practical advice from the field, the book is a visual and instructional tour d'force. Beat hat Dieses Buch während seiner Zeit am Institut für Medien und Schule (IMS) ins Biblionetz aufgenommen. 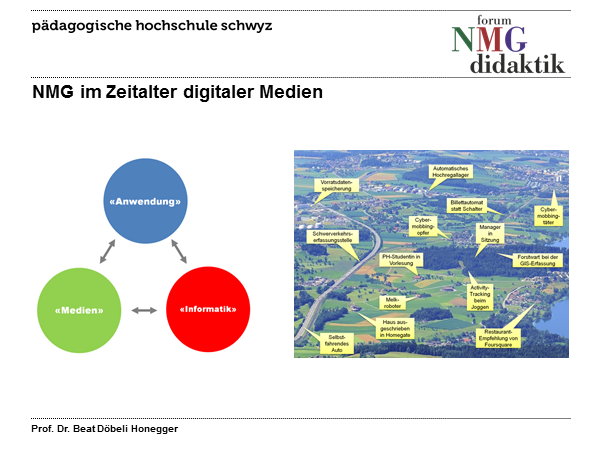 Beat besitzt ein physisches und ein digitales Exemplar. (das er aber aus Urheberrechtsgründen nicht einfach weitergeben darf). Es gibt bisher nur wenige Objekte im Biblionetz, die dieses Werk zitieren. Beat hat Dieses Buch auch schon in Vorträgen sowie in Blogpostings erwähnt.